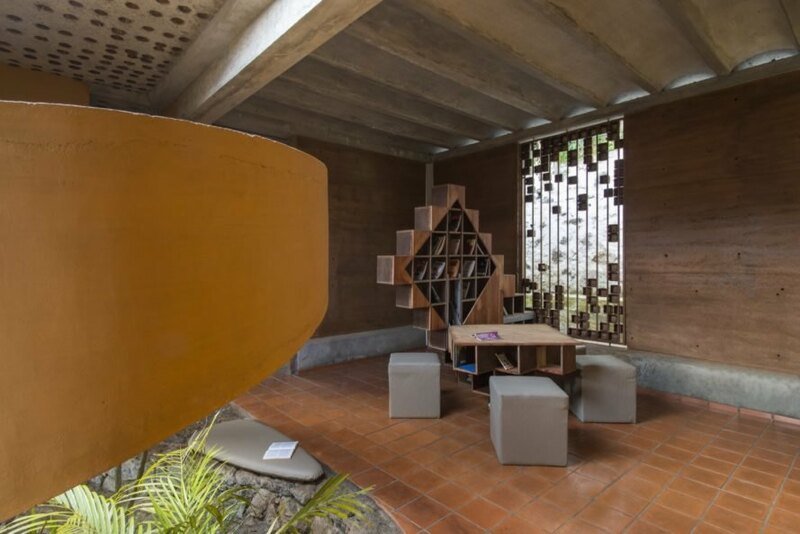 When a family of six approached Indian architectural practice Wallmakers for a low-cost home, the architects saw the limited budget as an opportunity to innovate and experiment rather than as a drawback. To keep costs low, recycled and natural materials were prioritized in the design of the Debris House, an approximately 2,000-square-foot dwelling that makes the most of its compact site. In addition to locally sourced materials, the environmentally sensitive home includes a rainwater harvesting and recycling system as well as passive air circulation. 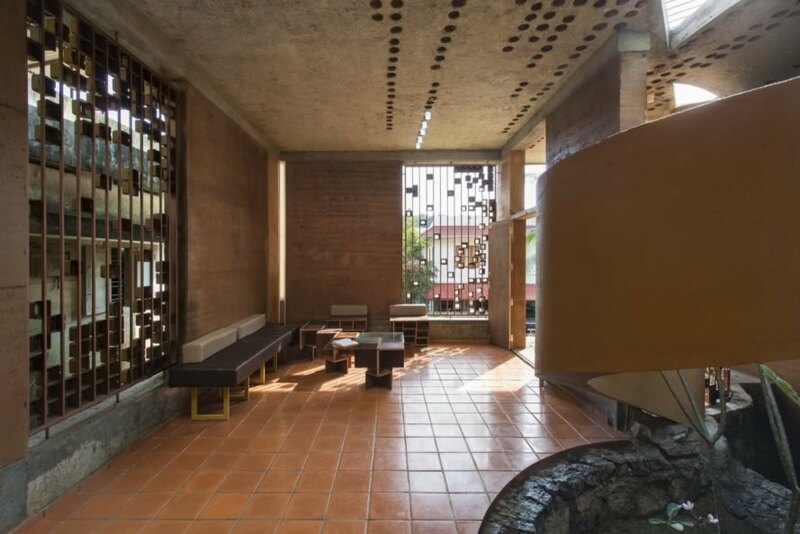 As a result, the architects built the home’s rammed earth walls using soil that was excavated onsite. 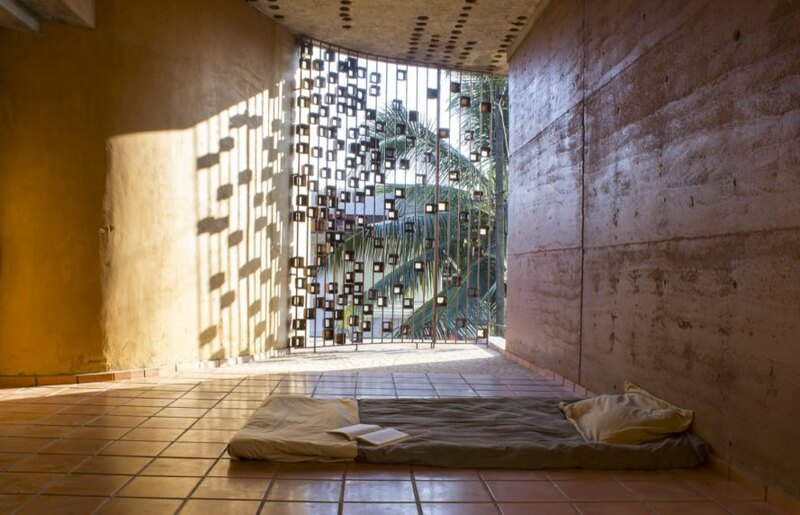 Recycled materials, also salvaged from the immediate area, were used to form a spiraled wall — dubbed the Debris Wall — that serves as a focal point defining the central courtyard, which allows cooling cross-winds into the home. Furniture was also built from reclaimed wood, specifically from the client’s storage boxes. To protect against unwanted solar gain, the windows are protected with meter boxes sourced from a local scrapyard. 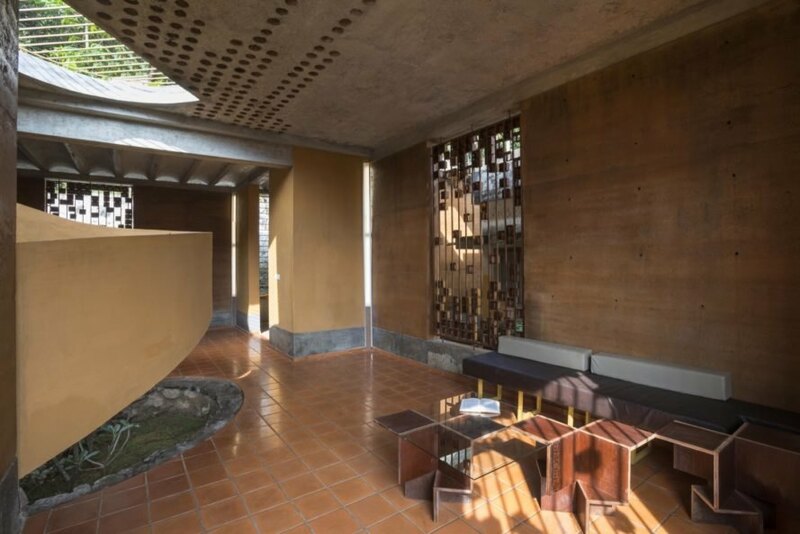 The concrete roof and slab were mixed with coconut shells, thus reducing the amount of cement used. In response to a client wanting a budget-friendly home, Wallmakers designed this Debris House with natural and recycled materials. The original site was once littered with debris. The architects used many elements from the site for the construction of the home. This unique wall is the focal point of the house. 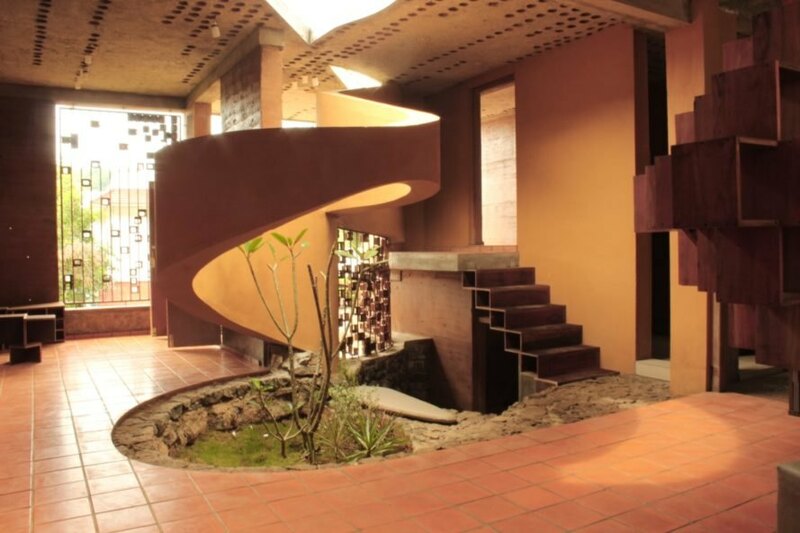 Natural air flows throughout the residence. Furnishings were built with reclaimed wood. The concrete roof and slab were mixed with coconut shells. While neighboring homes use glass and steel, the architects wanted this design to be original and eco-friendly. Old storage boxes and reclaimed timber are found throughout. The space is whimsical and comforting.